So the kids are back to school and you are desperate to get fruit into their lunch box…. and getting them to eat it. Not to worry Get Fruity to the rescue! So the kids are back to school and you are desperate to get fruit into their lunch box…. and getting them to eat it. Not to worry Get Fruity to the rescue! The perfect little addition to the kids lunch box, its packed with real fruit and fruit juices, keeps the kids fuller for longer and also tastes delicious! Fussy eaters should be given a variety of different foods in their lunchbox but don’t forget to pack some of their favorites so they will try both the new stuff and the regular foods. Kids are more likely to eat new foods and fruits and vegatables when mum’s not watching, but to add a tad more fun into lunch time and encourage children to get their 5 a day, why not try something a bit more exciting! 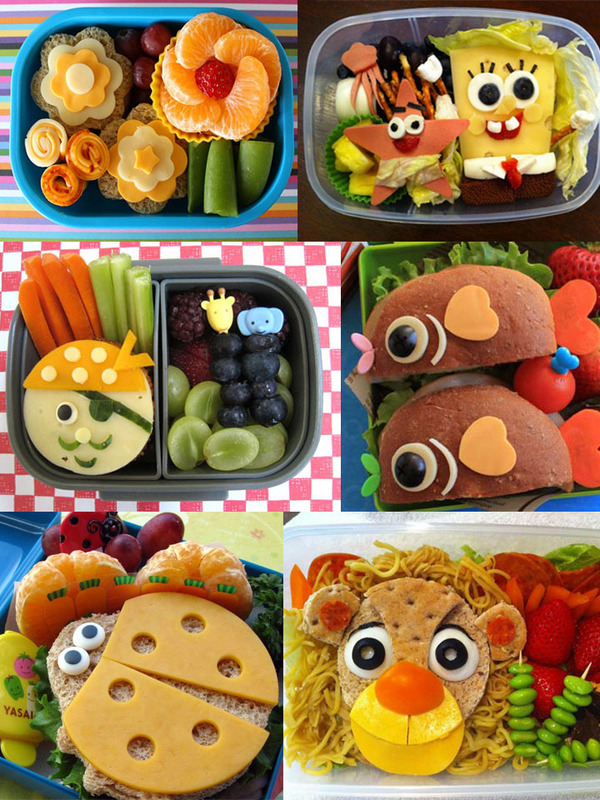 These lunch boxes are packed with fruity foodie fun and you have to agree they look really tasty too….